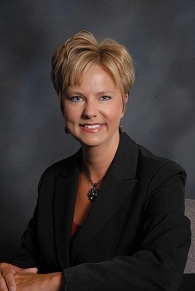 Actively involved in her community and profession, Lisa is a member of the American Institute of CPAs and the Indiana CPA Society. She has served as a member, officer, volunteer, and committee member of various community groups, including those within her church, the United Fund, Big Brothers & Big Sisters, Greensburg Community Schools, Decatur County Community Foundation, Hospital Foundation of Decatur County, Pregnancy Care Center, and the Greensburg/Decatur County Chamber of Commerce. She and her husband, Pete, reside in Greensburg and have three children and one grandson. Lisa brings experience and commitment to excellence to RBSK to gain the trust and confidence of our clients. Lisa can be reached via email at ltressler@rbskpartners.com or by phone at 663-7567, extension 232.